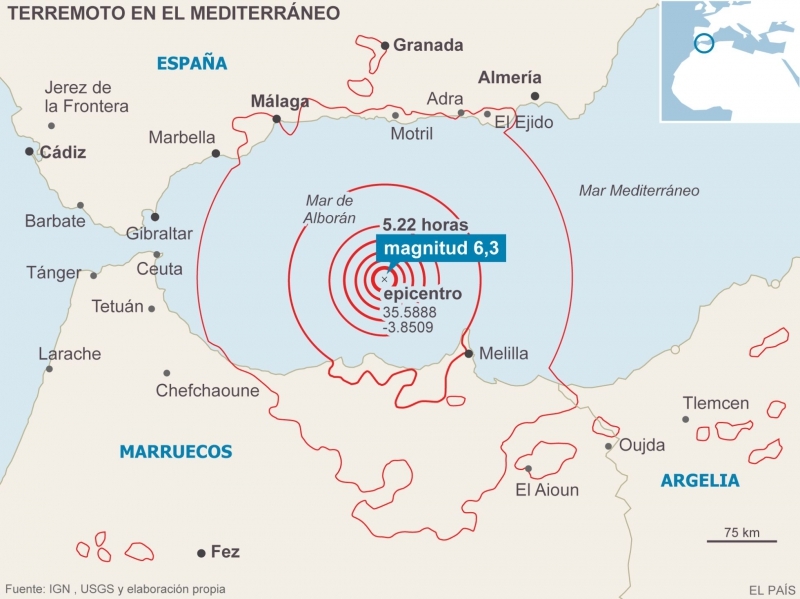 An earthquake with a magnitude of about 6.3 occurred in the early hours of Monday in the Alboran Sea. It is reported that at least 15 people were injured in Melilla. The epicentre was registered in the Alboran Sea, between Al Hoceima and Melilla. Following the quake, according to the National Geographic Institute (IGN), there have been seven aftershocks, the strongest one at 5:34hrs, of magnitude 4.5, and at 7:10hrs, of 4.4.